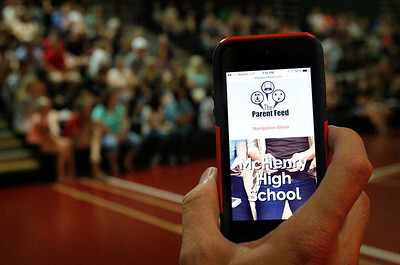 Matthew Apgar - mapgar@shawmedia.com Matt Batt discusses the plight of keeping children safe in a digital generation which relies so heavily on technology on Tuesday, August 11, 2015 at McHenry High School West in McHenry. Matthew Apgar - mapgar@shawmedia.com Matt Batt scrolls on his laptop through a presentation for freshman orientation about the plight of keeping children safe in a digital generation which relies so heavily on technology on Tuesday, August 11, 2015 at McHenry High School West in McHenry. 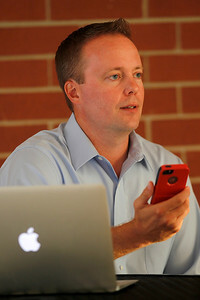 Matt Batt discusses the plight of keeping children safe in a digital generation which relies so heavily on technology on Tuesday, August 11, 2015 at McHenry High School West in McHenry.